Should the Santa Ana City Council ban all fireworks? 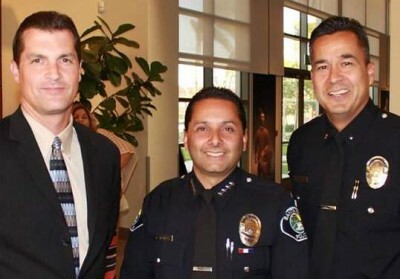 The Santa Ana City Council doesn’t seem to be doing much about the gang violence in our city but they are pondering making safe and sane fireworks illegal, according to the O.C Register. I really don’t understand this. 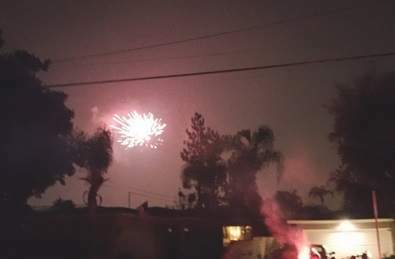 The problem in Santa Ana is NOT the safe and sane fireworks but rather the illegal ones that the SAPD and the OC Fire Authority seem to ignore. Last year, on the 4th of July, the SAPD took 223 phone calls for service regarding fireworks. This worked out to one call every two minutes for eight hours, according to SAPD Police Chief Carlos Rojas, at a presentation he made at the city’s Public Safety and Neighborhood Improvement Committee on Tuesday. The OC Fire Authority, which serves 23 cities in Orange County, had a 25% increase in fireworks calls from 2013 to 2014. There were apparently 22 fires in Santa Ana last 4th of July. Rojas is looking at three options. Each one will cost the city about $189K in preparation and enforcement in 2016 but that figure may change over time. The cost to ban fireworks – or a partial ban – would be expected to decrease over time as public awareness and compliance spread. If there were no change in policy then the law enforcement cost would remain the same or perhaps increase. Rojas told the Committee that there would not be much of a difference with a partial ban. 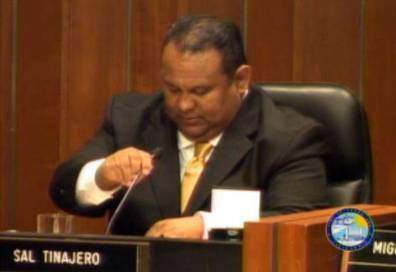 Santa Ana Councilman Sal Tinajero, who has admitted to being a paid consultant to medical marijuana dealers, proposed banning fireworks altogether and instead creating an event on July 4 with booths for nonprofits – who stand to lose millions in revenue if they cannot sell safe and sane fireworks in Santa Ana anymore. The City however already sponsors an annual 4th of July fireworks show, at Centennial Park. And there is NO WAY that the entire city could participate in a bigger event. We simply don’t have a venue with enough parking and room for everyone. Again this is, in our opinion, ridiculous. Illegal fireworks are already illegal. But the city doesn’t enforce the laws they already have on the books. Safe and sane fireworks are not the problem. If you want to stop the illegal fireworks what the City Council should do is toughen the penalties for possession and use of illegal fireworks. Put folks in jail for a year and find them $1,000 and that might change a few minds. Committee members asked to have staff gather more information and bring the matter to the full City Council. Brace yourselves. It is very likely, in our opinion, that the City Council will ban all fireworks in Santa Ana. 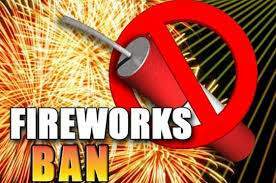 If you would like to let the City Council know how you feel about banning all fireworks in Santa Ana you may email them at citycouncil@santa-ana.org or call them at 714-647-6900. You should be focusing on other issues, leave Fireworks alone. Out of the 223 phone calls cited – how many did the SAPD respond to? Probably very few as they made zero arrests/citations for illegal fireworks. Who is pushing this call to ban legal fireworks? Why does he feel motivated to do this? Is it that he is a nanny state do-gooder kill-joy who knows what is best for his subjects? Remember that he became a paid consultant to the medical marijuana dealers. Maybe he wants to squeeze the fireworks dealers now. I wouldn’t be surprised if that were true. Your NAZI13 as*hole and Mill. Don’t forget that the “Code of Ethics” now apply to you Mr. Commissioner. No thank you Mr. Tardiff…I’m sure Angie will be interested in seeing how her appointee acts. This will be a real eye opener. Did Timajero represent Santa Ana dispensary owners? Not sure but that’s not what we elected him to do. Is the District Attorney investigating? You would think the cops could trace the launches but they are chronically understaffed. Chronically understaffed, or just misdirected? It would be unfair to make Safe & Sane fireworks illegal – figure out another way to discourage illegal fireworks. Oh .. maybe like actually arresting and prosecuting some for illegal fireworks. Prosecute a few of them and the rest will get the message. Since the police seem to know where the concentrations of illegal fireworks are being launched from, how about a little concentrated enforcement in that area, with the press along to document the arrests and later cover the fines that these clowns must pay. Make an example of a few of them and the word will get out. Stop penalizing those non-profits that are just trying to raise a few bucks to support the activities of the kids. Where else can you raise that kind of money in a short amount of time. Candy bar sales? ITS ONCE A YEAR!!! PEOPLE. LIVE With it. YOU HAD FUN AS KID BLOWING FIREWORKS UP, SO DO I AND SO WILL MY KIDS.. AND SO WILL MY GRANDKIDS. Don’t ruin it for the kids! Cities which have tried banning Safe & Sane fireworks in the past have usually brought sales back within a few years after they find out the law is a dud. Most of these illegal goods are coming in from Pahrump Nevada, a city which has several big fireworks stores, but in most cases does not allow anyone to light them there. So, a lot of it comes back into California. Why not put the squeeze on the city of Pahrump instead of the citizens of Santa Ana and see how that goes? Leave legal fireworks in Santa Ana alone. Banning all fireworks is going to have the same effect that stronger gun control laws would. You’re going to punish the people who abide by the law. While the people who engage in illegal activity are going to continue to do so. Enforce the laws! And stop turning a blind eye to certain segments of society who obviously have NO concept of how to live in a civilized society!! !